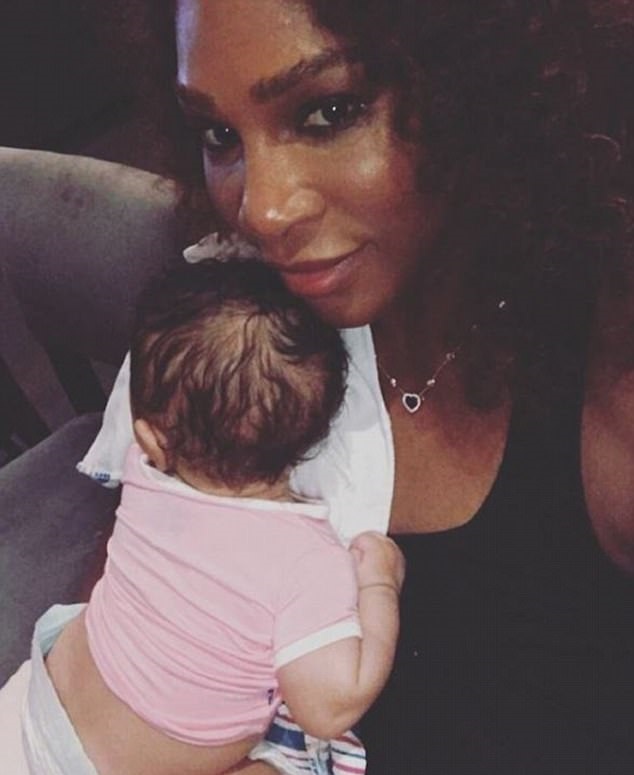 Serena Williams welcomed her first child just three months ago, and she's already dreading the day she'll have to stop breastfeeding her beloved daughter. The tennis champion, 36, took to Twitter today to reach out to other mothers and inquire about their own experiences with nursing. Along with her tweet, she posted a sweet photo of herself with her firstborn, Alexis Olympia Ohanian. The baby girl, who is named after her father, 34-year-old Reddit co-founder Alexis Ohanian, can be seen looking just below the camera, enjoying a peaceful moment in her mother's arms (left photo above). 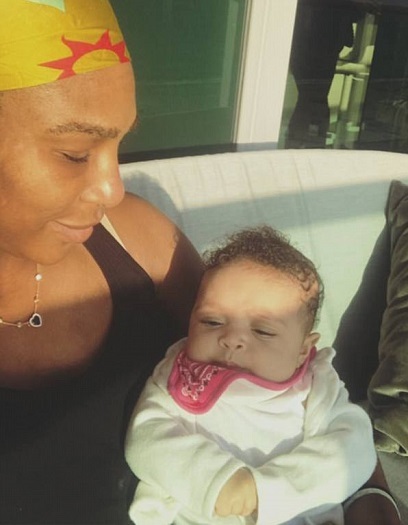 Meanwhile, Serena looks at her daughter with a loving smile, enjoying a few rays of sunlight with her baby girl. Her message has garnered more than 4,000 likes, as well as words of advice from other parents.